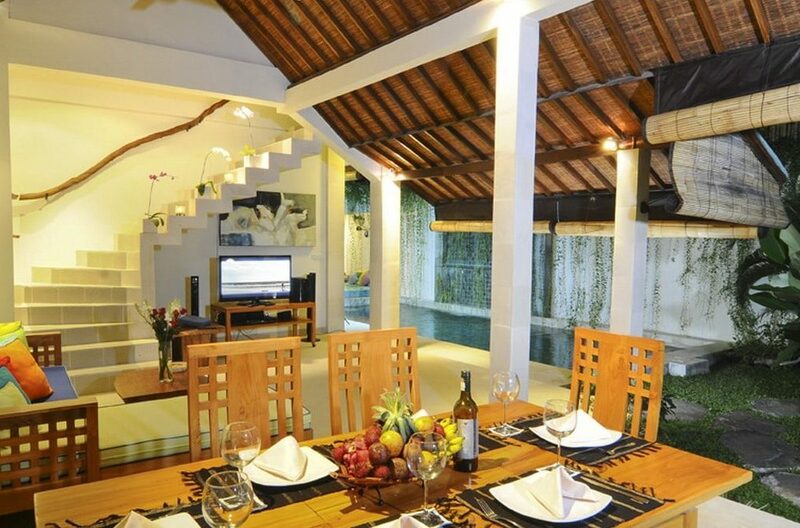 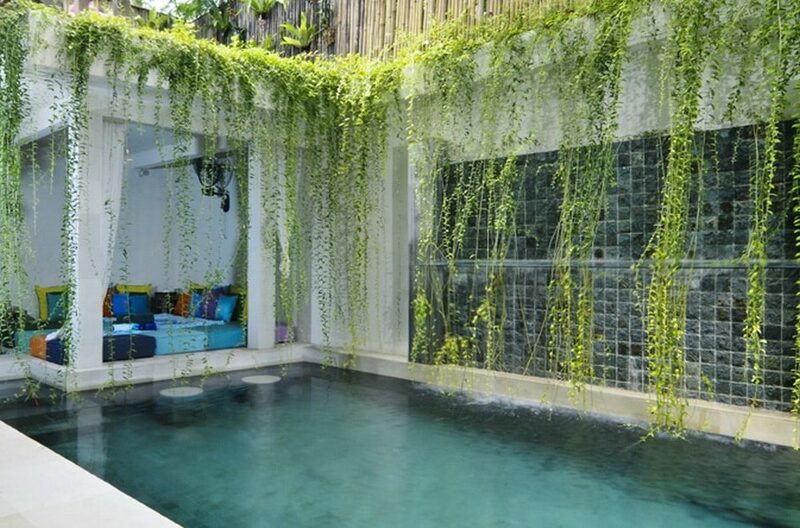 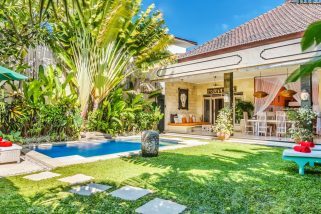 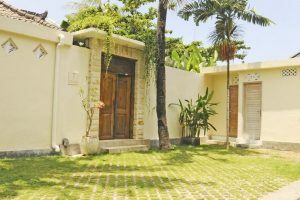 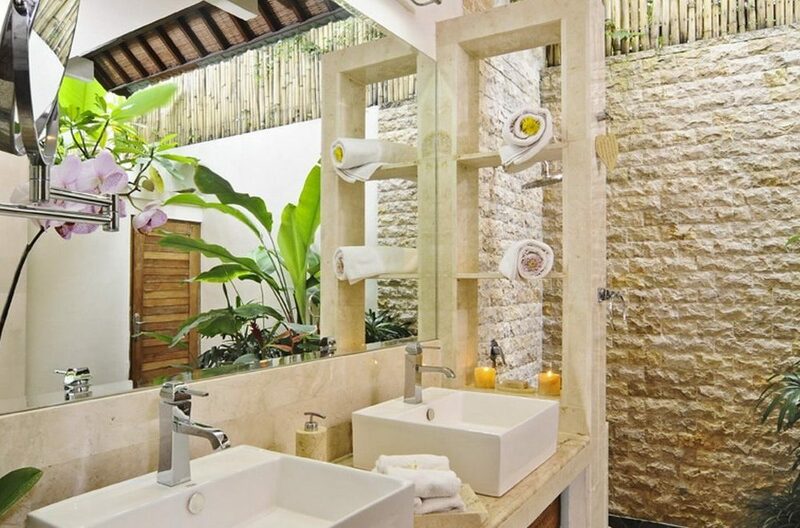 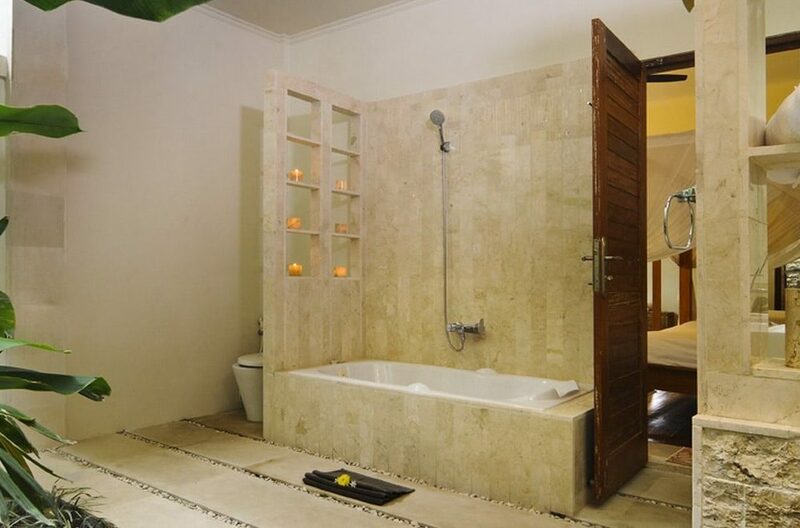 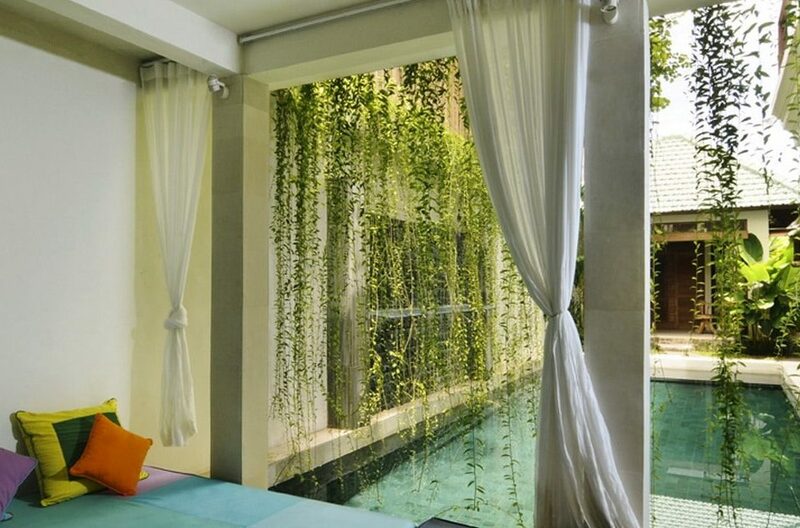 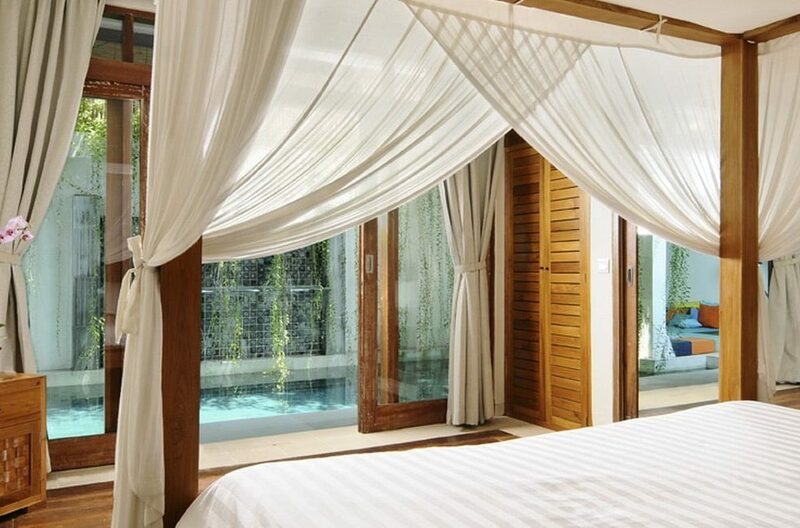 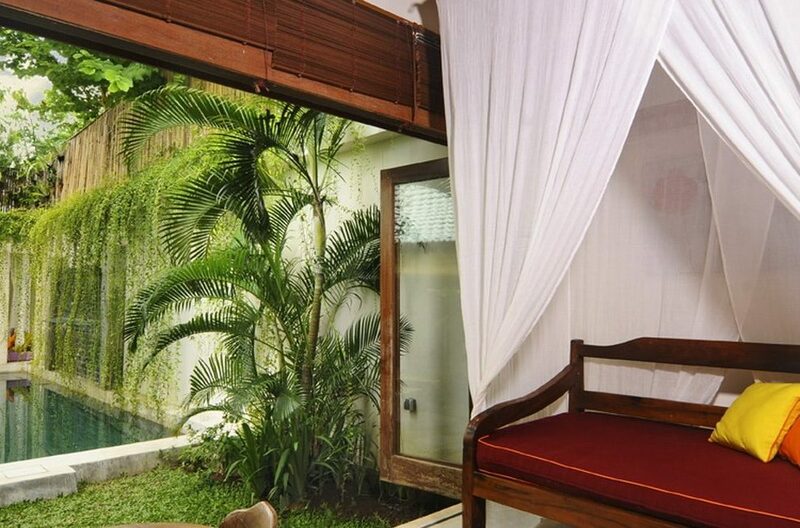 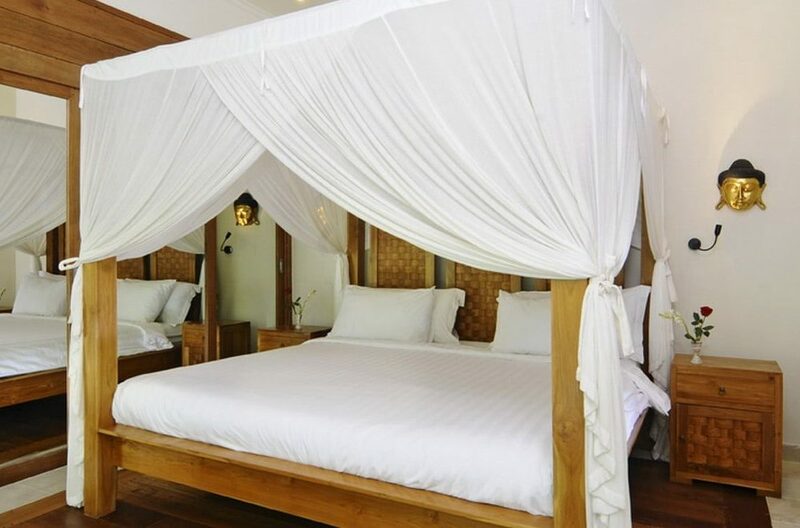 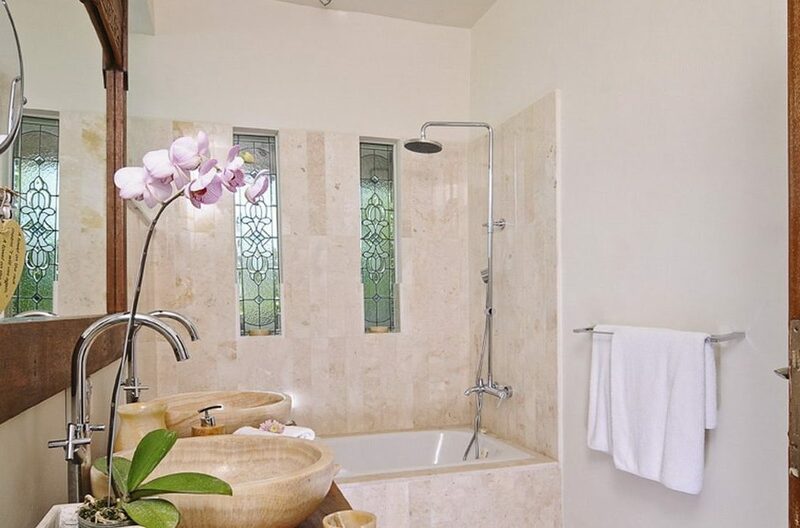 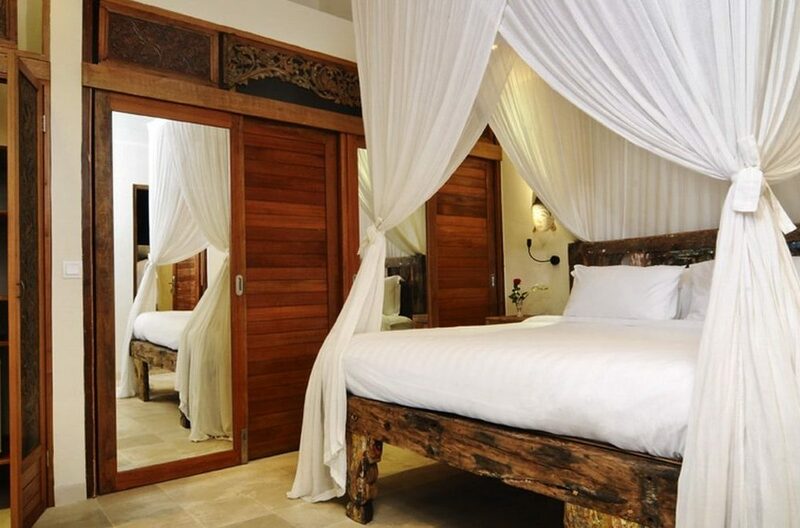 Villa Beji is a charming 2 bedroom property with masses of character located in the stylish area of Seminyak. 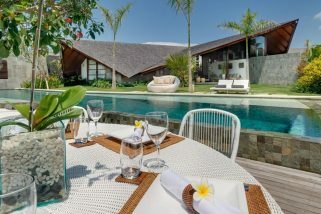 There is really no better place to base your dream holiday than the welcoming confines of this vibrant villa that combines a traditional flavour of the island with more contemporary comforts. On entering the property, guests must walk across rough stepping stones over a beautiful pond edged by exotic greenery to reach the house and garden. This meandering entrance really sets the tone for the house. The main body of the tropical garden features a swimming pool which is framed by hanging greenery with a luxurious day bed scattered with multi-coloured cushions at one end. 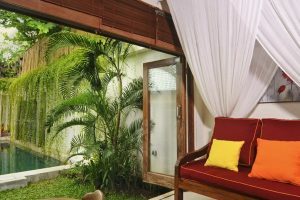 Under the soft breeze of the fan, this is the perfect spot to laze away the afternoon with a good book or have a cheeky sundowner. 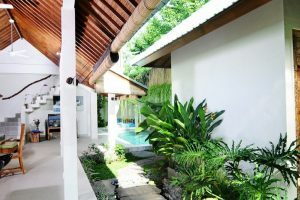 Facing directly onto the lushness of this area under the protection of a high wooden roof, is the open plan, open to the elements living accommodation. 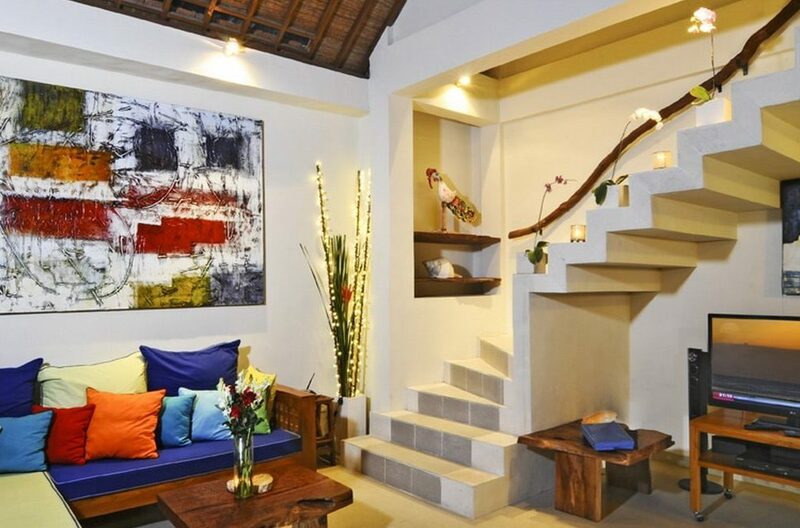 Decorated in vivid colours with attractive wooden furniture, this area forms the perfect space for unwinding from the stress of everyday life. 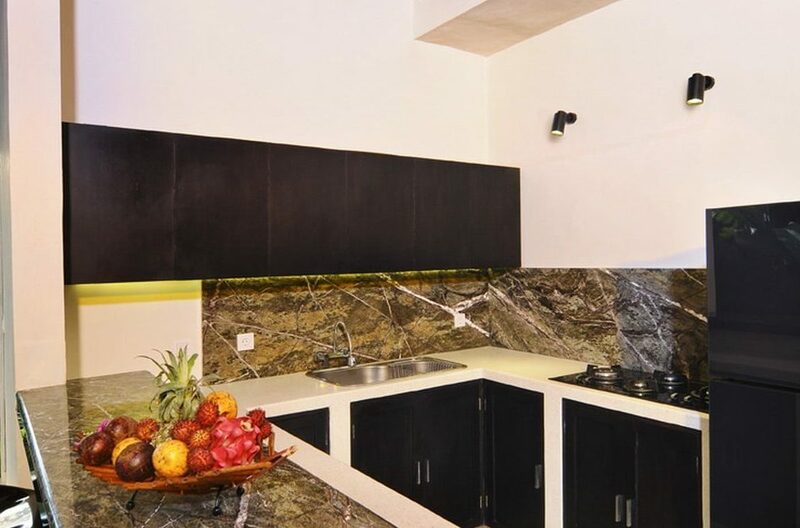 It comprises of a sofa and TV area equipped with Satellite Channels and a DVD player, a lovely dining table and a fully fitted kitchen with stylish granite work tops and stainless steel touches. 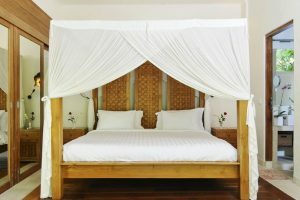 Both of the bedrooms feature sumptuous double beds dressed in cool white linens and cocooned by silk drapes. 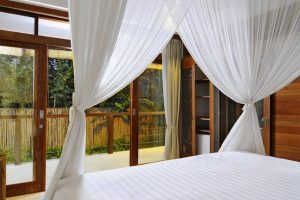 The rooms are light, bright and well-appointed with plenty of storage for both your holiday wardrobe and any purchases you might make. 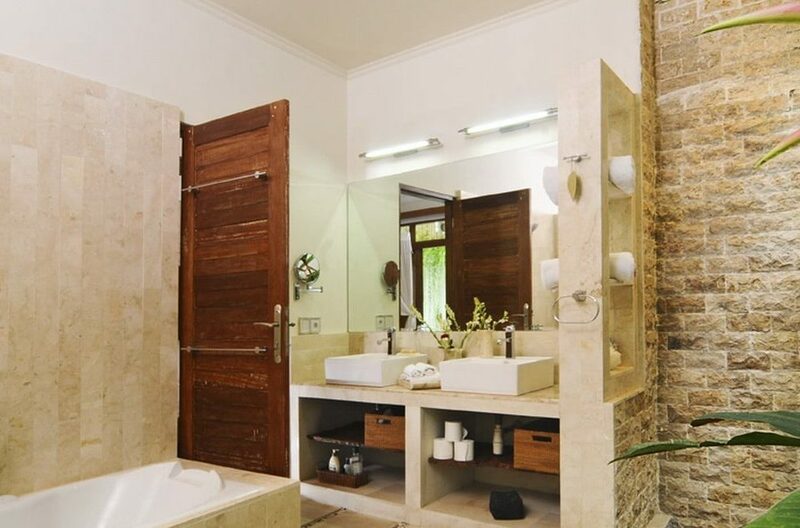 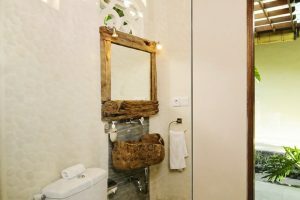 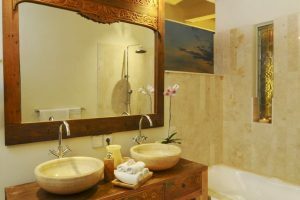 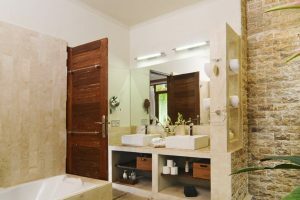 Both have stunning capacious ensuite bathrooms with private yet outdoor features and have both showers and baths. 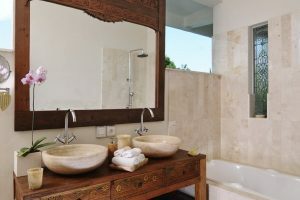 This villa is staffed by an excellent team consisting of housekeeping, a personal guest assistant, a gardener, and pool maintenance. 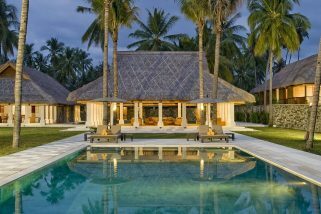 This property offers guests the perfect space to relax and soak up the chilled out vibes of this very special island while being looked after in the lap of luxury.